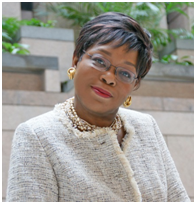 The Board of Directors of International Student House of Washington, DC (ISH-DC) elected Cynthia R. Bunton as President effective January 1, 2016. Cynthia is an alumna, having lived at the House in the 1970s while studying at the Graduate School of Public and International Affairs, University of Pittsburgh. As a former US Foreign Service Officer, she has a passion for international exchange and for the House’s mission. Her leadership skills and her experience in strategic management will be instrumental in our organization’s efforts to cultivate new relationships, to further re-engage our alumni network, to encourage greater participation by foreign Ambassadors, Members of Congress and other US Government officials in our work, and to help prepare our resident scholars for their professional careers. Cynthia is President of CRBi, LLC, a strategic consulting firm. She also serves as the Director of the Lantos-Humanity in Action Congressional Fellowship Program. Prior to that, she was Director of the Asia Division at the International Republican Institute (IRI) overseeing democracy and governance programs in 11 countries, including China. In addition, Cynthia spent over 20 years as a US Foreign Service officer, serving in Honduras, Denmark, Egypt, The Netherlands, Italy and at the United Nations. Since joining the Board in 2012, Cynthia has served as Secretary of the Board and Chair of the Alumni and Communications Committee. She has a clear vision and fresh ideas for engaging alumni and enhancing ISH-DC’s presence in the international, national, and local communities. She will no doubt lead the House into a successful and prosperous future.